I’d never heard of Cumberland, Maryland. 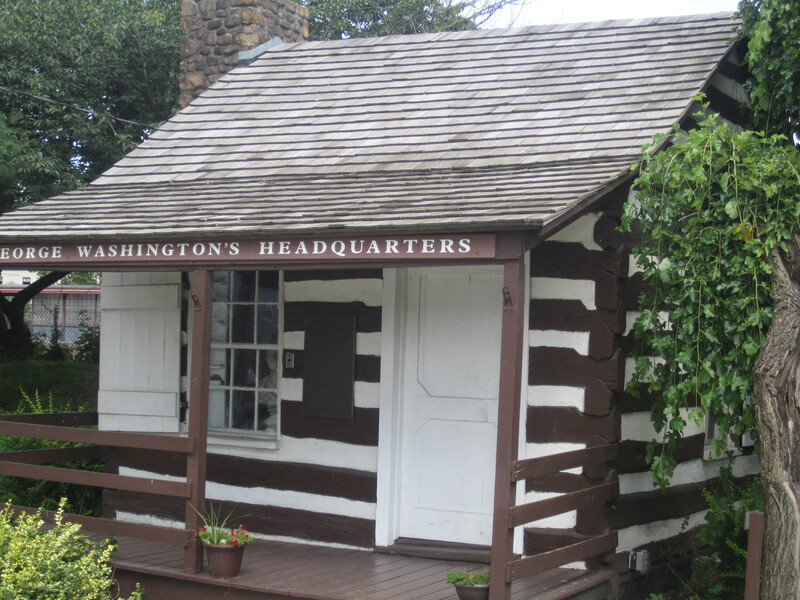 Like many, at first I confused it with the famous Cumberland Gap to the south, where in 1775, Daniel Boone helped build a road for settlers to what was considered the western frontier of Kentucky and Tennessee. In 2013, this Cumberland is poised as a potential great vacation spot. It’s situated amid historic buildings, with good restaurants, and lovely scenery. When my family decided to meet in Cumberland for a mini family reunion, a few spots kept coming up in our research, including Rocky Gap State Park, George Washington’s headquarters (a tiny cabin from his early days), the Western Maryland Railroad, the Allegany Museum, and the C&O Canal, including the Paw Paw Tunnel. We target the latter as a spot for a family hike. 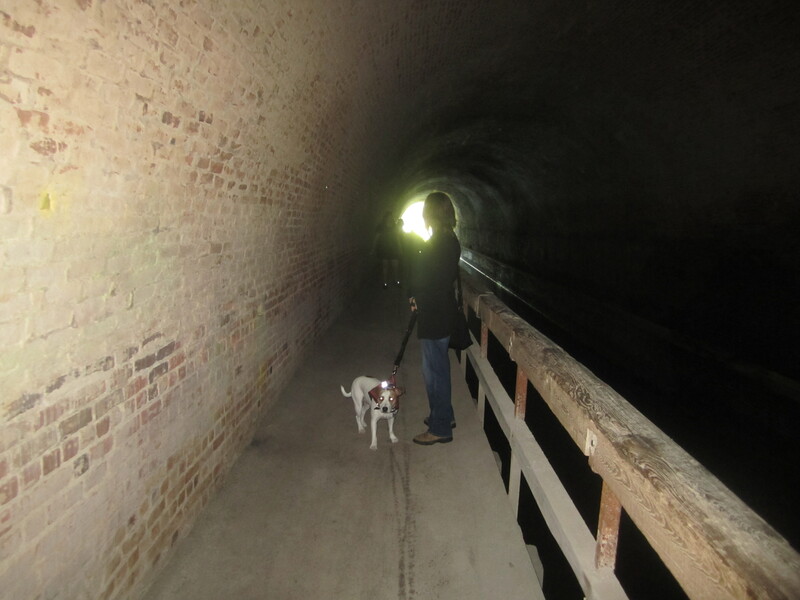 The Paw Paw Tunnel is a part of the historic Chesapeake and Ohio Canal system, which runs 184.5 miles to Washington D.C. Paw Paw is a 3118 foot long tunnel blasted through the mountain. Construction on it began in 1836, and it was one of the great engineering feats of its day. 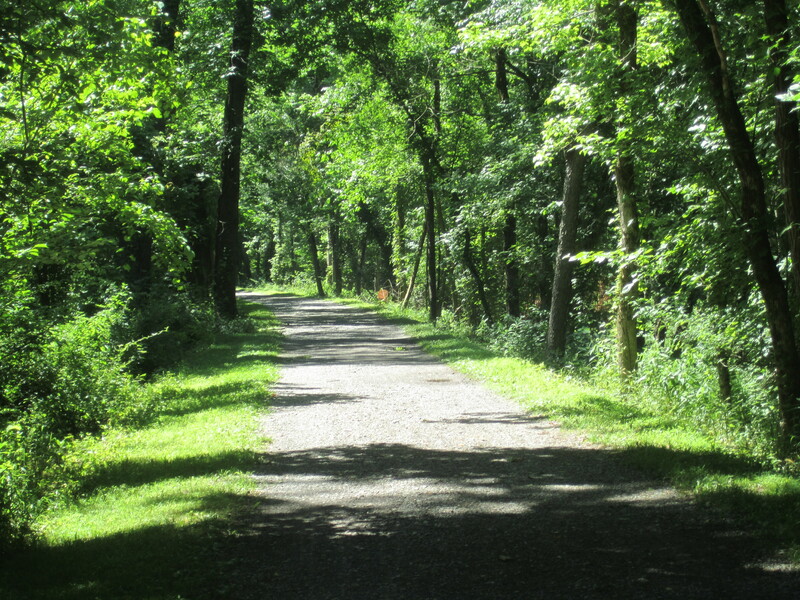 Since it is essentially flat, the trail is popular with cyclists as well as hikers. 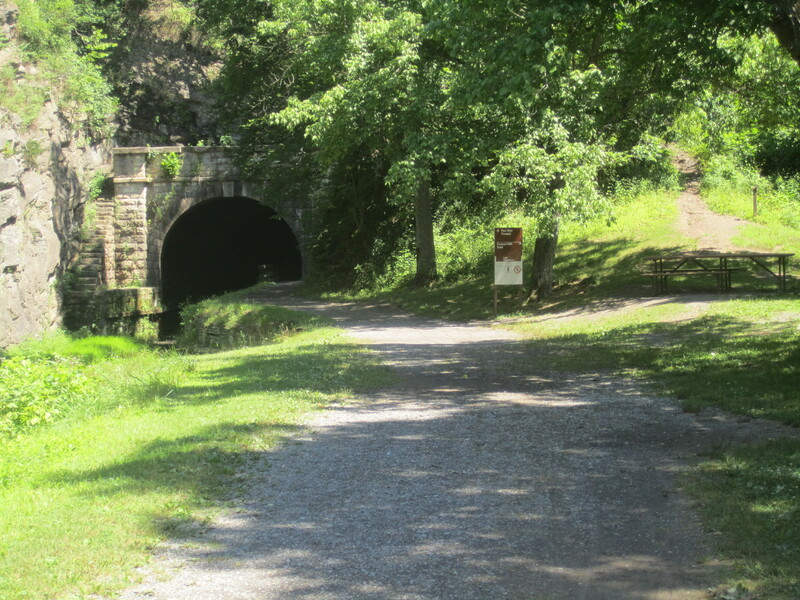 Don’t expect solitude, but expect some unique sights.The route toward the Paw Paw Tunnel Trail heads south out of Cumberland along the Potomac River, then heads east. 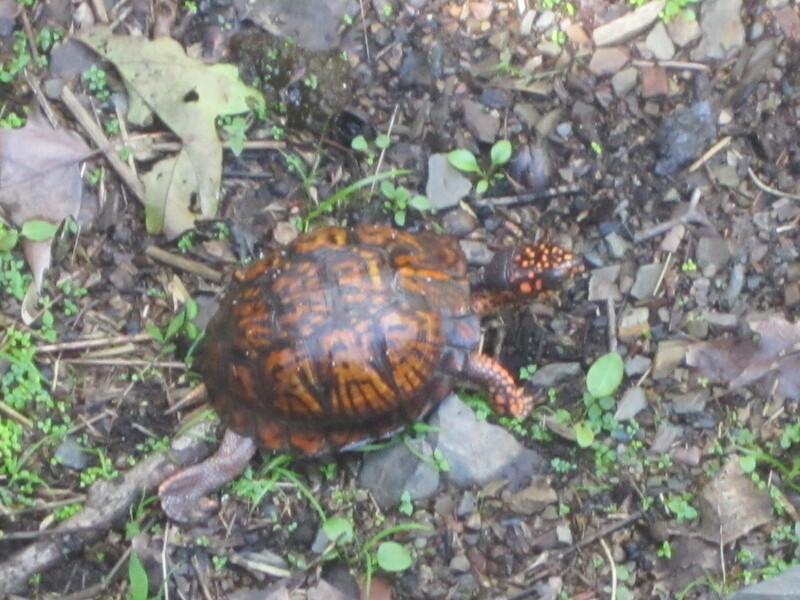 The winding drive along Route 51 is pleasant, but the destination was easy to miss, as signage was not great. A Boy Scout troop was camped in a field beside the trailhead, but there were few people on the trail initially. It was muggy at the trailhead and there were some concerns about how far the hike would be for my mother, who is a few years past her mountaineering prime. A sign at the top of the initial hill indicated the tunnel was 0.6miles away. Research told me that the tunnel itself would double the distance. Piece of cake. 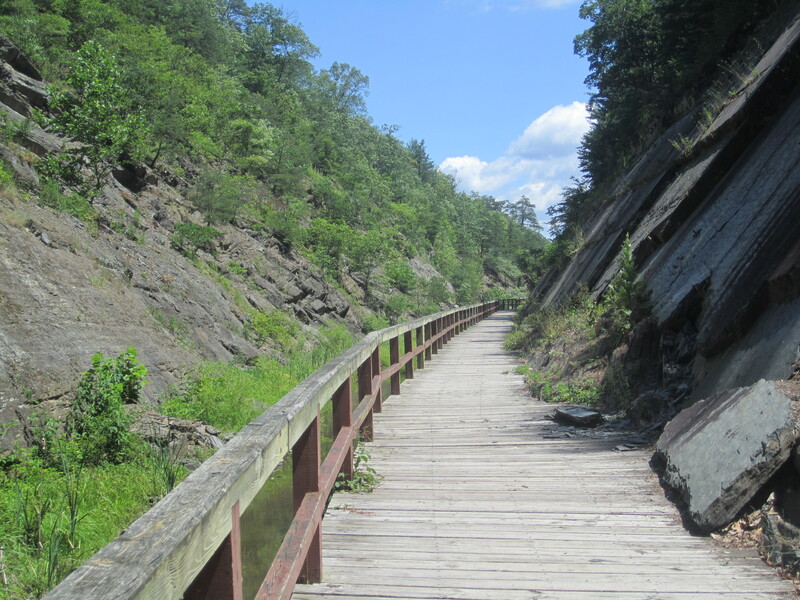 If it were closer to Washington, like the area of my previous two posts, it would be a perfect candidate for Hiking Along, a site that helps kids. 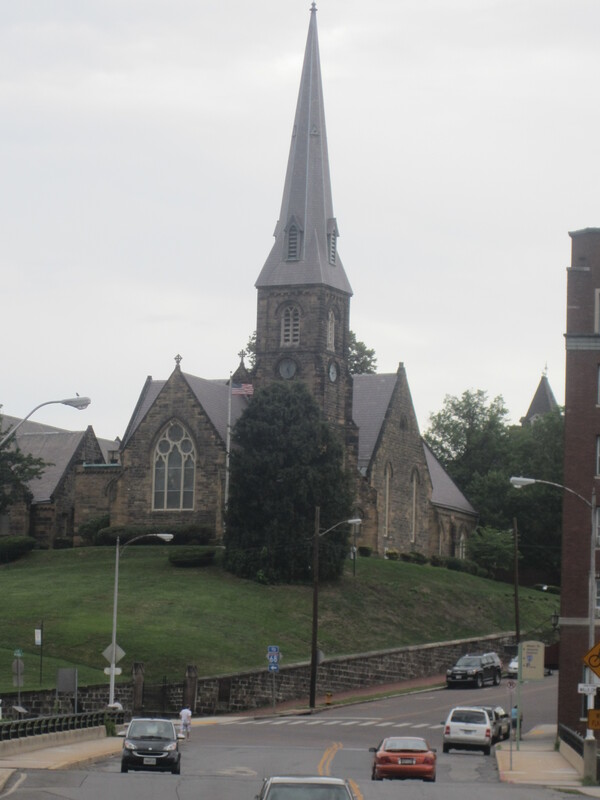 They focus on hikes and outdoor education in the D.C. area. The near end of the tunnel: note the trail splitting off to the right. A couple caveats: Beware of puddles and slightly bumpy terrain in a very dark environment. Some people managed without, but a flashlight is highly recommended. One nice middle aged couple we met did not have a light, and they were about to turn around a few hundred feet in when they encountered puddles. We loaned them a light so they continued. On entering the tunnel, it is hard to believe that the light at the other end of the straight tunnel is 3000 feet way. Ten minutes into the dark traverse, you’ll start believing. 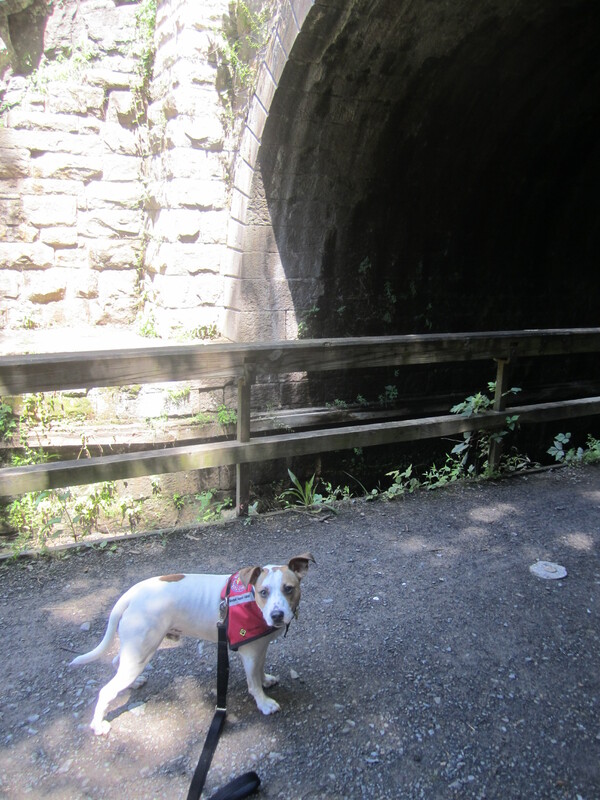 We’d heard there were bats in the tunnel, but encountered none. I was slightly disappointed, but I think everyone else was happy. At the far end, there are rocky slabs that create a small canyon that would not be out of place in the foothills of the Rockies. We relaxed there for fifteen minutes or so, taking photos before returning, passing much more traffic on the way back. This would be awesome on a bike! 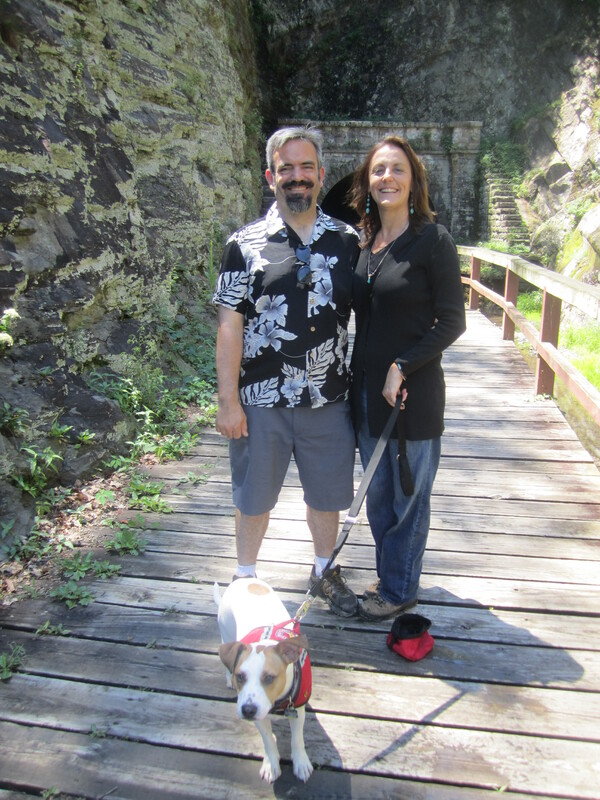 My mom loved this hike, I got to appreciate some history while walking, and I even saw youngsters enjoying it on foot as well as on two wheels. 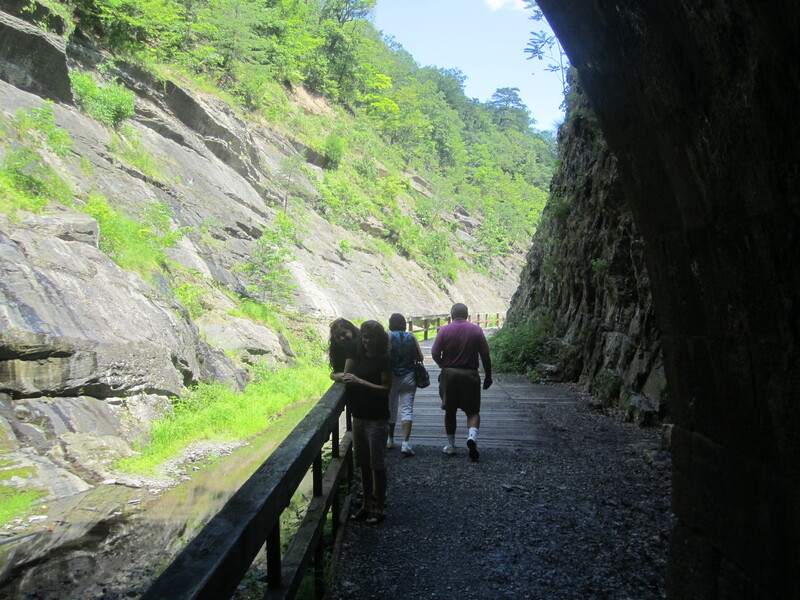 This is a great family hike, and the path has many more miles to recommend it, even starting in downtown Cumberland. We might have to return!